Designed for the hand-loading of intermediate weight bulky items. In addition to strong storing cartoned merchandise, it can be used for display racking. Heavy-duty 14 ga. steel beams included. Racking is stocked in Dove Gray, Putty and Wedgewood Blue - please specify color in comments section when ordering. FOB Shipping Point. 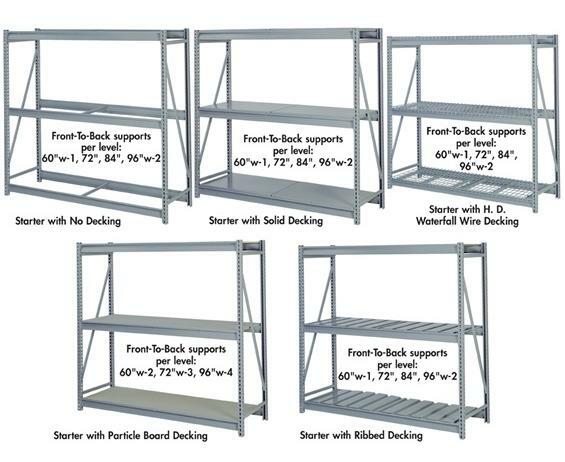 Solid Decking - Features Heavy-Duty Industrial Shelves for a smooth uninterrupted decking surface. Heavy-Duty Waterfall Wire Decking - Featuring 4" x 2" wire mesh with heavy gauge welded channels for added strength and a 1-1/4" waterfall along both front and rear edge. Frost Gray in color. Particle Board Decking - Durable, 5/8" thick particle board decking. Ribbed Decking - Versatile 20 ga. ribbed decking. Ribs allow for space to grab packages easily and prevent pinched fingers. 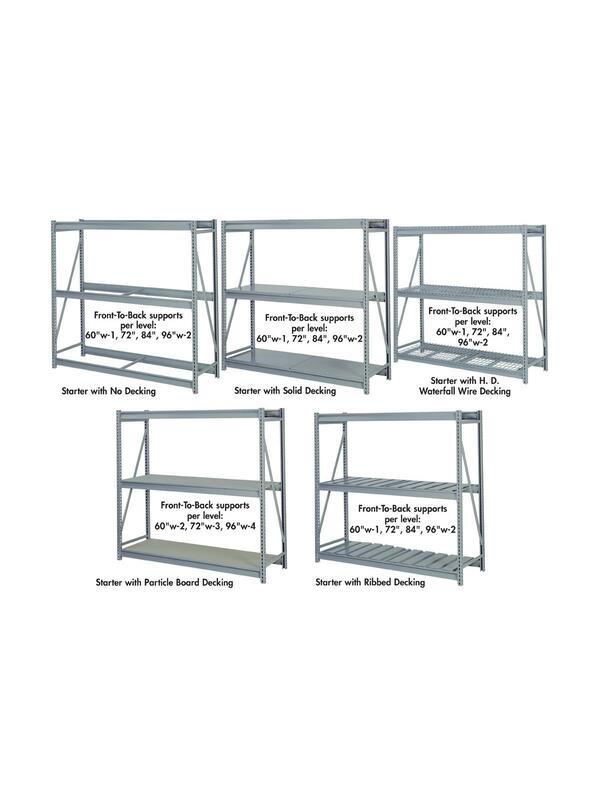 Note: In the interest of safety, Lyon strongly recommends that racks that are 72" or higher be floor and/or wall anchored. 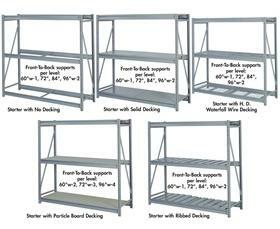 See Related Items tab for Pre-Engineered Bulk Storage Racks - 72" H.